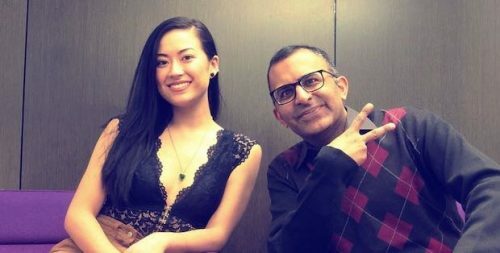 The day after she was evicted from the Big Brother Canada 7 house, I had the chance to catch up with Kiera Wallace to discuss what happened. We talked why she thought she was evicted and the status of her injured foot. We also discussed her decision to call out Dane at the eviction ceremony and why their relationship disintegrated as quickly as it did. I asked how her speech would affect Este’s relationship with Dane moving forward in the game. I asked Kiera to talk to me about her campaigning strategy with Adam and Sam, where she argued that the stronger players should band together against the floaters, and why it seemed to be working only to ultimately fail. I also asked her if she thought Este was a strong player despite not winning any competitions. We chatted about Chelsea’s decision to take out Kailyn and if that was a missed opportunity to instead focus on eliminating one of the boys. Finally, I asked Kiera to analyze Kyra’s decision not to use the blood veto. Big Brother Canada airs Wednesdays at 7 p.m. ET/PT, Thursdays at 8 p.m. ET/PT, and Sundays at 8 p.m. ET/PT on Global.